The problems of education can seem intractable, but four organizations have been working together to improve geography education in the United States for more than 30 years, and they continue to do so. These organizations—the Association of American Geographers (AAG), the National Council for Geographic Education (NCGE), the American Geographical Society (AGS), and the National Geographic Society—have recently recommitted themselves to this important work through the publication of several landmark documents. 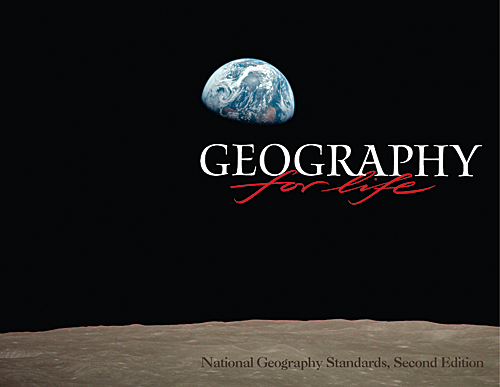 The first of these is a major revision to Geography for Life: National Geography Standards. Geography for Life lays out learning goals for geography in three grade bands: K–4 (ages 5–10), 5–8 (ages 10–14), and 9–12 (ages 14–18). These goals represent a consensus among geographers and geography educators of what geographically informed individuals should know and be able to do with their knowledge. First published in 1994, Geography for Life has been thoroughly revised to bring it up-to-date with the state of geography and of research on education. For example, when the first edition of Geography for Life was published, GIS only merited a mention in an appendix. In the second edition, GIS figures very prominently in the section of standards called "The Earth in Spatial Terms." While the federal government in the United States does not adopt or endorse educational standards, Geography for Life carries the weight of the four national geography organizations. The organizations created the standards to provide guidance to state and local educational agencies in the creation of their educational standards and curriculum programs. Around the time that the second edition of Geography for Life was going into final edits, the four geography organizations, which collaborate on education initiatives under the auspices of the Geography Education National Implementation Project (GENIP), began discussing how to ramp up the speed and increase the reach of their collective efforts. The result of these discussions was a proposal to the National Science Foundation to create a set of strategic plans for the improvement of geography education over a 5- to 10-year timeline. The organizations declared that it was time to create "a road map for geography education in the 21st century" and, with the support of the National Science Foundation, launched into an intensive 24-month research and planning project. The resultant road map, which lays out a path to the effective implementation of the learning objectives detailed in Geography for Life, was released this spring in the form of three topically focused reports. The work of the Road Map Project was conducted by three committees composed of leading geographers, educators, and researchers in the science of learning who were selected by a leadership committee representing the four organizations. The committees were charged with creating recommendations for how to improve the effectiveness of geography education in three areas that the geography organizations identified as being important levers for change: instructional materials and professional development for teachers, assessment of student progress, and research on learning and teaching. A road map, which lays out a path to the effective implementation of the learning objectives detailed in Geography for Life, was released in the form of three topically focused reports. The committees conducted a review of current practices and current research in their assigned area and then formulated recommendations for how to improve geography education over the next decade through focused work in their area. 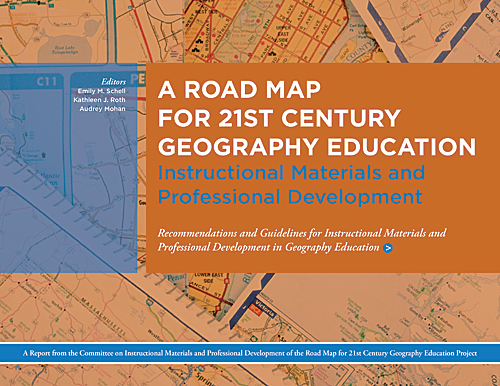 The Instructional Materials and Professional Development Committee considered the current state of the instructional materials for teaching geography and the preservice and in-service education that teachers who are responsible for geography education receive. Based on this analysis and a review of the literature, the committee formulated recommendations and guidelines for both instructional materials and professional development that will lead to improvements in instruction and in learning outcomes. The Assessment Committee studied the current state of assessment in geography and reviewed its history. Based on the analysis of existing practices and a review of the literature on assessment as a support for improving educational outcomes, the committee formulated guidelines for developing assessment instruments and for conducting assessment that will lead to improvements in instruction and outcomes. The Geography Education Research Committee reviewed the existing education and cognitive science research literature to identify gaps in our ability to answer significant questions about geography education based on research. Drawing on this analysis, the committee formulated recommendations for research questions and approaches that will build a knowledge base to guide improvement efforts for geography education in the future. 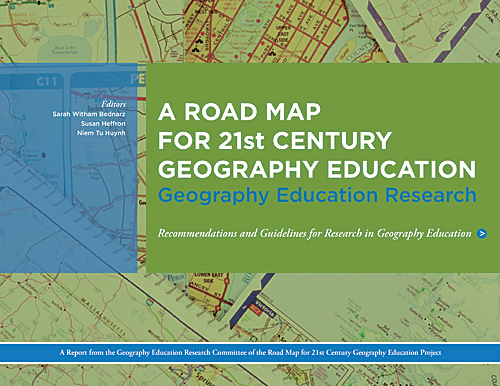 The result is a set of specific recommendations to improve geography education over the next decade that is grounded in the most comprehensive study of geography education that has been conducted in the United States. It is, in fact, a road map for achieving the goals laid out in Geography for Life that the four members of GENIP are committed to implementing over the course of the coming decade. Achieving the goals of Geography for Life will require a greater public commitment to geography education and the allocation of more funding than we have seen before in the United States. By creating the road map, the geography education community has provided a strong justification for making that commitment and described how those resources can be used most effectively. The next step in this process is to bring these landmark documents to the attention of policy makers, funders, and educators who are in a position to act on their recommendations. To assist with this effort, contact any of the GENIP organizations. For more information, Geography for Life can be viewed online. The print edition can be purchased from the National Council for Geographic Education online store. 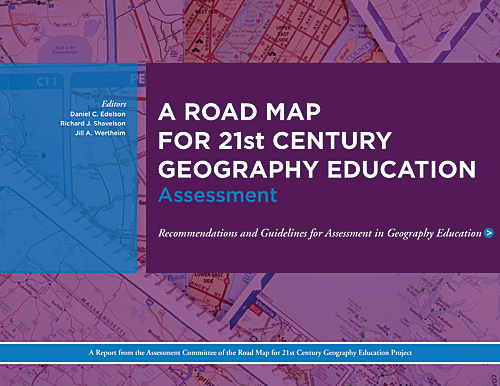 The reports of The Road Map for 21st Century Geography Education Project and executive summaries are available at no charge.